Using Lotus SmartSuite? Forgot a password protecting documents created in Lotus Organizer, Lotus WordPro, Lotus 1-2-3, Lotus Approach or Freelance Graphics? Get instant access to password-protected Lotus documents and accounts - guaranteed! Advanced Lotus Password Recovery allows you regain access to password-protected documents and accounts by instantly revealing passwords protecting documents created with any product and any version of Lotus SmartSuite, as well as FTP account and proxy passwords set in Lotus SmartSuite components. Recover passwords of any length and complexity from Lotus Organizer, Lotus WordPro, Lotus 1-2-3, Lotus Approach and Freelance Graphics. The simple and straightforward user interface allows easy instant recovery of the most complex passwords. IBM/Lotus provide the ability to protect SmartSuite documents with a password without supplying the tools to recover the protected documents if a password is lost or forgotten. Advanced Lotus Password Recovery fulfills the demand of the many users of Lotus office software by providing a perfect tool to unlock password-protected Lotus documents momentarily. Passwords of any length and complexity can be revealed instantly with no lengthy attacks. 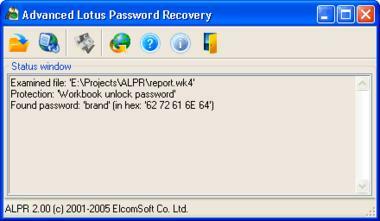 Advanced Lotus Password Recovery saves your time and provides you guaranteed instant results. 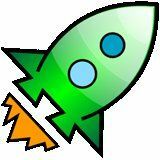 System requirements: About 1 megabytes of free space on hard disk.